Going to the doctor can be a nightmare for most people; it’s not a really pleasant experience, beyond the sterile environment, when you go for checkups because they are expensive (especially if you’re in the US) coupled with the poking, injecting and prodding. But don’t miss a routine checkup is what I would advise. Fortunately Medical engineers have been working on a wireless sensor in a pill that would help offer a much better and safer experience, and it also may be a cheaper one. According to American Cancer society records everyone over the age of 50 should get a colonoscopy, the normal procedure for one is uneasy for everyone since it involves sticking a camera inside the body from a place where things don’t usually go. Though this is a little different from normal routine checkups but this is a recommended one as this is a screening for colorectal cancer which can be fatal. The newly developed pill mentioned before will make the whole screening process a lot simpler as it would just need to be swallowed. 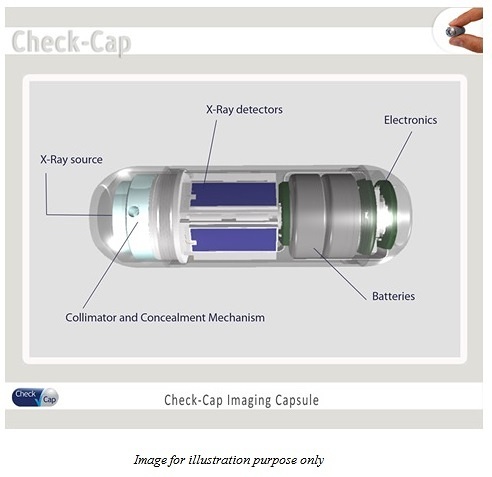 Check Cap, led by lead medical engineer Yoav Kimchy and his team have developed a technologically advanced pill that will act as an X-ray machine inside the body or something similar to the LIDAR technology used in Google’s self-driving cars. The sensors embedded in the pill will help the pill adjust its course of action and as soon as the pill passes through your colon it will start to emit a signal that will quickly determine the distance from the wall of the colon. The sensors will map everything inside the colon in all the areas it travels, irrespective of its direction, and it will send the data back to the examining doctor. “You don’t see much inside murky water”, Kimchy said. According to the reports published by the World Health Organization, almost around 700,000 people die from colorectal cancer each year, which makes it a huge deal to follow up. “It was obvious this was a problem that needed solving in a different way,” Kimchy said. The hardest part is swallowing the one inch pill and the only prep work required is to drink a solution that would increase the contrast in the colon, giving better and clearer results, before the pill is swallowed. The pill is currently on clinical trial in Europe and if everything goes in the right direction then Check Cap’s pill will be commercially available next year. Kimchy also hopes to start trials with the US FDA in the next 18 months. The cost of the pill will be less as compared to a colonoscopy. Let’s hope the number of people shying away from the dreaded colonoscopy procedure can be reduced with the help of this pill if it gets approved by the authorities.